Just over 12 months ago the classic Status Quo line-up of Francis Rossi, Rick Parfitt, Alan Lancaster and John Coghlan were playing Wolverhampton Civic Hall as part of a 'one-off' reunion tour. Thankfully, Quo don't know the meaning of the words 'one-off' so they're now back for a 'final' Frantic Four tour. Those of us who attended their 1984 Milton Keynes 'End of the Road' farewell shows, which were meant to signal the end of the band forever, know that Quo should never say 'never again' so there's a good chance we'll be seeing this line-up again! In the meantime the Wolverhampton gig, the first of two, gave fans the chance to wallow in nostalgia as the band once again mined their back catalogue - there was nothing here originally recorded post-1976. Francis Rossi said last year's shows were under-rehearsed but there was little sign of that problem at Wolverhampton, apart from the frontman almost messing up the start of Down Down. Indeed, I've rarely heard Rossi playing his guitar better, with blistering solos during Just Take Me, Railroad and Big Fat Mama. And it was nice to again see Bob Young playing harmonica on a couple of numbers. Rhythm guitarist Rick Parfitt seemed more relaxed than during the 2013 tour, grinning his way through Little Lady and Oh Baby. Lancaster and Coghlan having been out of Status Quo for many years, must be desperate for the reunion to continue. Support band Toseland also received huge cheers from the audience. 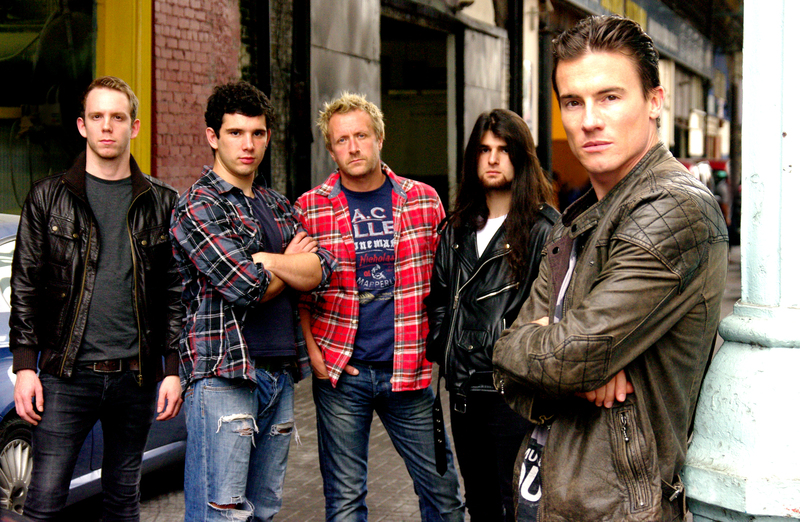 They could easily be regarded as a gimmick act - frontman James Toseland is best known as a champion motorcyclist but with his sports career cut short through injury he has turned his hand to music. He's married to singer-songwriter Katie Melua and has her guitar playing brother in his band. The surprise is, they can really rock and have some great tunes. Performing in front of the Quo backdrop showing the cover of the Hello! album, they gave it all they had and quickly won over the Civic crowd. The out and out rockers like Coming To Get Ya and Crash Landing worked best,especially as they have hooks that stick in the brain. Two other highlights were Singer In A Band and Life Is Beautiful, which just about sums up Toseland at the moment. Status Quo return to Wolverhampton Civic Hall on April 10 with Wilko Johnson as support. Why? 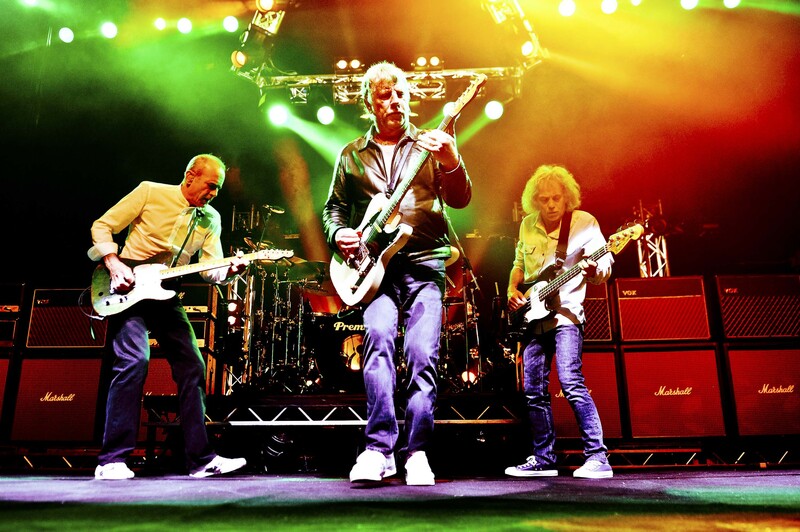 One more chance to see the classic Status Quo line-up.